1540: Waltham Abbey is dissolved. The English Parliament passed the Act of Supremacy in 1534 which made the monarch also the Supreme Head of the Church of England, separate from Papal authority. The First and Second Suppression Acts followed in 1536 and 1539. This gave the monarch, King Henry VIII, the power to dissolve monasteries throughout his realm. At the time there were about 900 religious houses with about 12,000 people living there. One adult male in fifty was in religious orders at the time. It was assumed the income and assets from these establishments would increase the income of the Crown, many lands were sold off to pay for Henry’s military campaigns in the coming years. Waltham Abbey lies about 15 miles NNE of central London. Archeological digs have shown the site has been in use for much longer than originally thought. Traces of rubble date back to the seventh century and radiocarbon dating of a burial site places it between 590 and 690 with a proposed original building date of 610 during the reign of King Saebert of Essex, a ruler noted for his church building. A second church was built in the late eighth century by King Offa of Mercia. In the twelfth century, the church and manor were overtaken by Tovi the Proud, an Anglo-Danish Thegn, aristocratic retainer of a king. He had a vision which led him to dig up a holy artifact from 150 miles away and transport the Holy Rood or Cross back to this church and it then became a pilgrimage site. Tovi’s son had to sell the property to King Edward the Confessor and it was rebuilt by Harold Godwinson (the future King Harold II) and dedicated in 1060. The church was rebuilt again beginning in about 1090, reusing some of the materials but designed in the Norman rather than the Saxon fashion. It took about 60 years to complete and yet another rebuild was undertaken when Henry II gave the building to the Augustinians as part of his penance for killing Thomas Becket. In 1184, after beginning to rebuild again, the church status was increased and it became an abbey which increased the number of canons from 16 to 24. It was dedicated in 1242. The Holy Cross still brought many pilgrims to the Abbey, both aristocrats and commoners, but the nobles often stayed to hunt in Waltham Forest. This included King Henry VIII who was a frequent visitor. Waltham was the last abbey to fall when Abbot Robert Fuller surrendered it and the estates to Henry’s commissioners. Fuller was pensioned off as were the prior and 16 canons. The choir master was paid off and given a job at Canterbury Cathedral. The Holy Cross disappeared without a trace. It was suggested the abbey become a cathedral for the Church of England but nothing happened. Today, it is in fact, part of the Church of England as a parish church and The Reverend Peter Smith is vicar. While the church remains, many of the outbuildings were destroyed in the dissolution. The Norman crossing tower and transepts collapsed in 1553 and a new west tower was added after the dissolution. Well-beloved subjects! we thought that the clergy of our realm had been our subjects wholly, but now, we have well perceived that they be but half our subjects; yea, and scarce our subjects, for all the prelates, at their consecration, take an oath to the Pope clean contrary to the oath they make to us, so that they seem to be his subjects and not ours. Alas, how can the poor souls live in concord when you preachers sow amongst them in your sermons debate and discord? They look to you for light and you bring them darkness. Amend these crimes, I exhort you, and set forth God’s word truly, both by true preaching and giving a good example, or else, I, whom God has appointed his vicar and high minister here, will see these divisions extinct, and these enormities corrected. March 23, 1989: Martin Fleischmann and Stanley Pons hold a press conference. The two men reported on an apparatus they had built which produced “excess heat” and was a demonstration of cold fusion. This is a hypothetical kind of nuclear reaction which would take place at or near room temperature. “Hot” fusion requires a temperature in the millions of degrees, such as that found naturally in stars. The two men not only claimed to have produced heat from cold fusion, but also measured small amounts of nuclear byproducts such as neutrons and tritium. All this was done with a small tabletop device which used electrolysis of heavy water on the surface of a palladium electrode. If true, it would be a source of cheap and abundant energy. The operative phrase there, was “if true”. Fleischmann was a British chemist famous worldwide for his work in electrochemistry. He was born in Czechoslovakia in 1927 to Jewish parents who fled first to the Netherlands and then to England by 1938. After receiving his PhD from Imperial College London, Fleischmann taught at King’s College and then University of Newcastle upon Tyne. He moved to the University of Southampton, where he was the Faraday Chair of Chemistry and was the president of the International Society of Electrochemists. He began working with Pons in 1983 where the two men spent $100,000 in self-funded experiments at the University of Utah. Fleischmann wished to publish first in an obscure journal in a joint publication with another university doing similar work. The University of Utah wished for priority and went public with the announcement, forcing the two men to also go public. Pons was born in North Carolina and studied chemistry at Wake Forest University in North Carolina and then began his PhD at the University of Michigan, but quit before finishing. He completed his studies at the University of Southampton where he met Fleischmann. The two men were interested in the problem of cold fusion, like many before them. The search for this energy source began in the late 1920s when two Austrian born scientists reported the transformation of hydrogen into helium by spontaneous nuclear reaction at room temperature. They later retracted their report, saying the helium measurement was due to background presence in the air. Others still held out hope. Fleischmann and Pons did not publish their experimental protocol but physicists around the world attempted to replicate their experiment without success. The first paper submitted to Nature passed peer-review but was rejected regardless because similar experiments were negative and no theories could explain the positive result. The two men still believed in their process and the University of Utah asked Congress to provide $25 million for research. Pons was scheduled to meet with President Bush in May but by April 30, 1989, the New York Times declared the idea dead. On May 1, 1989 the American Physical Society concurred. Disgraced but undaunted, the two men moved to France to continue their work. Their funding ran out in 1992. Fleishmann died in 2012 of natural causes; he was 85. Pons gave up his US citizenship and remains in France. Also on this day: The Man Who Would Be Pope – In 752, Pope Stephen was elected but he died before taking his seat. Safety First – In 1857, Elisha Otis installed his first passenger elevator. Patrick Henry – In 1775, Patrick Henry spoke to the Virginia House of Burgesses. Row, Row, Row your Boat – In 1889, the free Woolwich Ferry began service. Circumvention – In 1896, The Raines Law was passed. March 23, 1896: The Raines Law is passed in New York State. The law was predominantly a liquor tax. There was also included in a line item which limited liquor sales on Sundays. It did not completely ban the sale but instead granted the privilege only to hotels. At the time, most men worked six days a week and Sunday was their day to relax in the saloons. This irritated the prohibitionists and so the law was written to stop this behavior. The luxury traveler could still get a drink either with their meal or served in their rooms. A building was considered a hotel if it had ten rooms for lodging and served sandwiches. As many poorly written laws, this one was rife for circumvention. Many of the saloons began opening upstairs rooms and applying for hotel licenses. There were many “Raines law hotels” situated directly over working saloons. Creative businessmen also found an added use for the rooms and rather than stopping Sunday drinking, the new law increased Sunday prostitution or extramarital flings. Of course, the rooms were available all week for the other uses, as well. Since the hotels were also able to serve alcohol with meals, there were sandwiches available in the saloons, sometimes just a brick between two slices of bread. Even if the sandwich was real, the patron was not permitted to eat it when ordering his Sunday libation. There were fourteen upstanding citizens who found this misinterpretation of the law appalling. The Committee of Fourteen demanded that saloons be examined and a city inspection passed before being given the license for hotel keepers. The twelve men and two women worked tirelessly until finally on May 1, 1905 a new law was passed making the inspections law. However, as late as 1917, a protagonist in a novel saw “A Raines Law hotel with awnings, indicating that it was not merely a blind to give a saloon a hotel license but was actually open for business.” The Committee remained active until it ran out of funds in 1932. Blue laws are written to restrict or ban certain behaviors on Sundays in deference to religious standards. Some Islamic countries may have laws written to ban certain activities on Fridays while Israel celebrates their religious practices on Saturdays. There remain many communities, mostly in the US and parts of Europe, with stores closed on Sundays. The US Supreme Court has often upheld Blue laws as constitutional. Many places in the US are now open for business but still restrict the sale of alcohol – as well as cars. The old assumption that the laws are “blue” because they were written on blue paper is considered to be unfounded and a mistake. Alcohol gives you infinite patience for stupidity. – Sammy Davis, Jr.
March 23, 1857: Elisha Otis installs his first commercial passenger elevator. Otis invented the safety elevator while employed for others. He was a middle-aged man with a history of bad luck. He was familiar with hoisting platforms and aware of inherent flaws. He would not risk using them because if the cables broke, the platform plummeted and would damage or destroy the contents. Instead, he devised a “safety elevator” to protect his equipment. He did not think it important enough to even patent it initially. He sold 3 elevators in 1853 for $300 each ($7,400 today) and then sales dried up. Total inventory for December 31, 1953 was listed as $122.71. Otis took his invention to the Crystal Palace Exhibition in New York City in 1854 and sales picked up; he sold 7 elevators in 1854 and 15 in 1855. He began an advertising campaign for an “improved platform elevator.” His industrial platform was useful, according to his ad, in a number of businesses and could be powered by steam, water, or even by hand. A small platform capable of lifting 500 pounds cost $350 ($8,000 today) installed and the deluxe model could lift 8,000 pounds and cost $750 ($17,000). Before 1857, elevators were used strictly for moving commodities up and down. People needed a way to move between floors in the ever taller buildings. E.V. Haughwout Company was a six-story department store at Broadway and Broome Street in New York City. They put in the first passenger elevator and moved customers up and down at the speed of 40 feet/minute. By the 1870s there were 2,000 Otis elevators in service and both safety and efficiency increased. Suddenly, high floors became sought after real estate. Today, Otis Elevator Company is a subsidiary of UTC (United Technologies Corporation). They are the world’s premiere company for vertical transportation systems manufacturing elevators, escalators, and moving sidewalks. They supply the world while based out of Farmington, Connecticut. They put in elevators at the Eiffel Tower, Empire State Building, World Trade Center, and Petronus Twin Towers among others. They claim to carry the equivalent of the world’s total population every 9 days. They employ over 60,000 people and had a revenue of $11.885 billion in 2007. This article first appeared at Examiner.com in 2010. Editor’s update: Elisha Otis was born in Halifax, Vermont in 1811. He moved away from home at age 20 and settled in Troy, New York where he worked as a wagon driver. In 1834 he nearly died from a brutal case of pneumonia. He and his small family (wife and 3-year-old son) moved to Vermont Hills where he designed and built and a gristmill, but it didn’t earn enough money to support them. So he turned it into a sawmill which was still unsuccessful. He built wagons and carriages to support his family, which included a second son. His wife died while the baby was still a toddler. He moved to New York City and went to work for a Otis Tingely as a doll maker and there invented and patented a robot turner which could produce bedsteads four times as fast as by hand. He boss gave him a bonus and he opened his own business. He died in 1861 at the age of 49 from diphtheria or his inventive mind would have kept producing wonderful gadgets. March 23, 1889: The free Woolwich Ferry begins service in east London. The River Thames (pronounced tems) runs for 215 miles from Gloucestershire to the North Sea. It is the second longest river in the UK and the longest completely in England. It is a tidal river at its eastern end with a rise and fall of 23 feet at London. There are more than eighty islands amid the waterway. The width of the mighty river varies. At the London Bridge it is 870 feet wide, but at Woolwich the width increases to 1,470 feet. The life-giving river has lured inhabitants to its shores for thousands of years. Relics from the Bronze Age have been found. While the river has sustained settlements since Neolithic times, it has also been a barrier. Getting from one side to the other is difficult, but often necessary. Today, there are over 100 bridges spanning the River Thames. But that only helps part of the problem. Ferry service is another method still in use to get back and forth. Ferry service at Woolwich began in the 1300s. at that time, Woolwich was a fishing village and the town ran the ferry. In 1308 the business and the owner’s house sold for £10. In 1320 the business without the house sold for 100 silver marks. Woolwich rose in status under Henry VIII and Elizabeth I. The area became the royal dockyard and grew in prominence while London itself grew in size. By 1810 the British army established their own ferry service running between Woolwich Arsenal and Duvals Wharf. The next year, an Act of Parliament was passed to establish service between Woolwich at the Old Ballast or Sand Wharf and Chapel Street where the dockyard ended. It ran until 1844 and was dissolved after years of mismanagement. The London River Services licensed and financed a new ferry service in the late 1880s. It still is operated by the Serco Group. The Woolwich Ferry transports foot passengers and vehicles with some restrictions on size and weight. There are two boats leaving at ten minute intervals. They can each hold 500 passengers and 200 tons of vehicles. During off peak hours only one boat runs and service is every fifteen minutes. There are weather conditions, usually dense fog, which limit or halt service. There is a nearby foot tunnel and a light railway station is also close. The nearest vehicle alternatives are the Blackwall Tunnel two miles to the west and the Dartford Crossing, a bridge, ten miles to the east. The Man Who Would Be Pope – In 752, Pope Stephen was elected but he died before taking his seat. March 23, 1775: Patrick Henry speaks to the Virginia House of Burgesses at Saint John’s Church in Richmond, Virginia. The House of Burgesses was the legislative body of the colony of Virginia. In the audience for this momentous speech were Thomas Jefferson and George Washington, noted revolutionaries themselves. Patrick Henry, born in May 1736, was educated at home by his father, an education that included classical Latin. He then studied law on his own and took his examination in Williamsburg in 1760 becoming a lawyer as well as an integral part of the Revolutionary landscape. He was a delegate to the House of Burgesses from 1765-1775 and a delegate to the Continental Congress from 1774-1775. Henry became a vocal supporter of representation in the governmental process. He deplored the Stamp Act. In 1763, he noted that a King who vetoed laws enacted by the citizenry was more a tyrant than a father figure. He offered seven radical resolutions to the House of Burgesses on May 29, 1765 – five of them adopted with one rescinded the next day. After the War, Henry was the first governor of Virginia, serving five terms. He retired to his home, Red Hill, in 1794 to practice law. Because of poor health, he turned down positions of power within the new Country, including Chief Justice of the Supreme Court and Secretary of State. Elisha Otis – In 1857, Otis installed the first safety elevator. 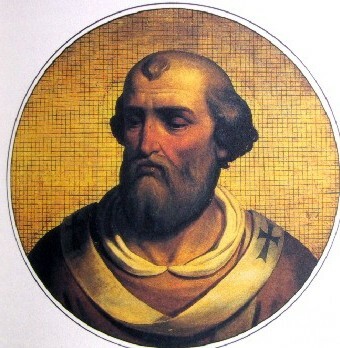 March 23, 752: Pope Stephen is elected to the papacy. Yet, he never gets to become Pope. During this period of the Catholic Church, Popes were sought out from the regular priesthood rather than from bishops or cardinals. After being elected unanimously, Stephen was waiting to be ordained a bishop when he suddenly died of apoplexy. This particular Stephen would have been the second Pope named so, but he is not accorded the designation of Stephen II because he never actually assumed the papacy. At the time, Popes were simply Pope So-and-so and the regnal numbers were not added until the 10th century. There is no real problem with this poor man’s inability to become the Bishop of Rome, other than the playing with numbers for future Popes of the same name. Following Pope Stephens have had to cope with the designation of II (III) or IX (X) since this elected official never actually assumed the seat of power. He is not on lists of Popes since he never actually got past the election process. Pope Marinus I was the first bishop to be elected as Pope in 882 and Pope Gregory XVI was the last man elected to the seat without being a bishop first. Also on this day, in 1857 Elisha Otis installed his first passenger safety elevator.